DESERVING OF RECOGNITION – Her many years of work in promoting literacy has earned the Yukon’s Isabelle Salesse a 2018 Council of the Federation Literacy Award. Canada’s premiers have honoured a Yukon literacy advocate, among others across the country. Isabelle Salesse is the Yukon’s recipient of a 2018 Council of the Federation Literacy Award, the premiers, who are having their annual summer meeting, announced Wednesday. Presented in each province and territory, the award celebrates outstanding achievement, innovative practice and excellence in literacy. 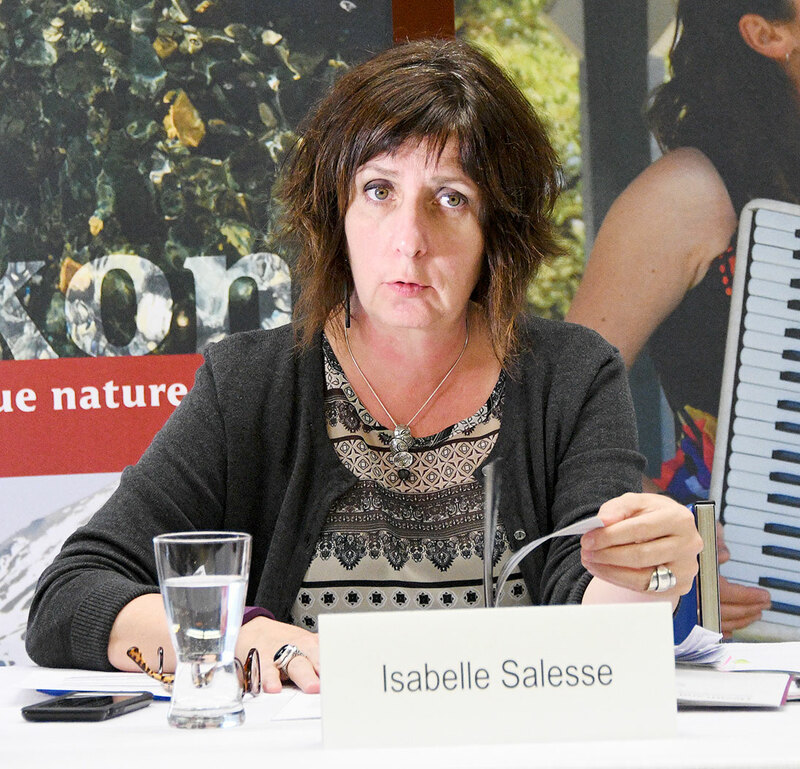 Throughout her extensive career in the Yukon, Isabelle Salesse’s work has focused on literacy in French in minority language environments, grounded in the concept that we are all lifelong learners. Salesse has supported and contributed in the development of French literacy programs and resources both in the Yukon and nationally. For many years, she managed the Association franco-yukonnaise (AFY) training and employment department, later becoming the organization’s executive director. Salesse consolidated a one-stop-shop to meet the French-language needs of adults and families in adult education, literacy, and pre-employment preparation. She has also taken on leadership positions with national organizations that promote French literacy outside Québec. Studies initiated by Salesse have led to the creation of tools still used today by francophone communities. “Literacy is a fundamental skill that helps unleash one’s potential and is crucial to the future prosperity of the Canadian economy,” Brian Gallant, the premier of New Brunswick and the federation’s incoming chair, said in a statement. “On behalf of my colleagues, Canada’s premiers, we are pleased to congratulate the 2018 recipients of the Council of the Federation Literacy Award. Premiers recognize literacy is an important part of every Canadian’s ability to participate as a full and active citizen in all areas of society, the statement said. Created in 2004, the award celebrates adult learners who undertake literacy training, as well as the valuable contributions made by Canadians in the field of literacy, including family, aboriginal, health, workplace, and community literacy. The award is presented to learners, educators, volunteers, community organizations, and businesses in each province and territory. Each recipient receives a certificate, signed by the premier of his or her province or territory, and a medallion. • Judy Craig – Saskatchewan. The council comprises all 13 provincial and territorial premiers.